Charity organisations are humanitarian groups that raise funds for promoting the social well-being of the society. Their objectives are philanthropy, and all their activities are solely for the common good and non-profit reasons. There are thousands of charity groups in the UK. Some are religious, while others gear towards scientific research and humanitarian goals. Charitable organizations are classified based on the activities they undertake. There are human and animal health support groups, education-oriented charities, and art and culture support trusts. Others work to champion the preservation and protection of the environment. 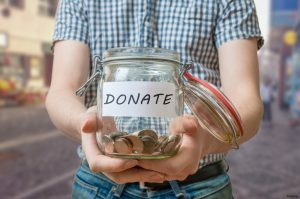 Charities use different methods to raise funds for achieving their goals. Some appeal to donors and societies while others do so from the sale of goods and services. Games and gambling competitions are also other ways that charity organisations use in raising funds. The British government has put in place laws that oversee the working of charities to prevent malicious people and groups from using charities for self-gain. These laws state the tax requirements and spell out the use of the revenues collected. Charity evaluators assess the financial value of charities. The information builds their reputation and helps the government to track the growth of a charity group. Charity groups in the UK have helped millions of people across the world to lead better lives through the contributions they make every day in association with other international organizations. An Individual will help to save a life somewhere by donating to charity groups.